Thanks for visiting our site. Here is where you’ll get info about our company and how we can help your business deliver the message you want your customers to remember. That’s the whole idea, plainly stated. We’ve put together some of the work we’ve done to show you how useful professional content can be in building corporate and brand identity. And, no, we’re not going to bombard you with fancy buzzwords that cause more confusion to complicate things. We’re big fans of brevity. Come back regularly for basic and helpful tips on how to make written communication with your customers easier and faster. Just the facts, right? But we may also occasionally indulge and post photos of our favorite food. Who doesn’t? This entry was posted in Blog on February 27, 2012 by WhiteHat Copy. Writing is not magic. It is just a grind, and you do it or you don’t. It’s an arbitrary preference. Nothing to crow about. This quote packs a punch and it is by one of the greatest Filipino writers ever, Carmen Guerrero Nakpil. Not to sound self-righteous but it is baffling to hear writers, particularly, from those among us who do it for business, talk about what they do with as much affectation as a Texas minister on Sunday morning! Snobs. Guys, the statement above should put things in perspective. It’s “nothing to crow about” and the point is further magnified if you would read the context under which she delivered that line. She is a woman ahead of her time. This entry was posted in Blog, Filipino Books and tagged best writers in the Philippines, carmen guerrero nakpil, filipiniana, filipino authors, looking for a book, writing, writing quote on November 19, 2017 by WhiteHat Copy. I’ve always believed that if you have more than one stream of expenses (and we all do) it’s foolish to have only one stream of income. This is precisely why even with my full time job of handling corporate communications for one of the largest multinational brands in the world, I’m also a Virtual Assistant Entrepreneur (VApreneur). The term VApreneur was coined by my good friend Rochefel Rivera, who I met at a digital learning event a few years back. We instantly hit it off as we both believe in pricing our services competitively regardless of location, cultural background, etc. You see, Filipinos, especially those based in the Philippines, are expected by the global industry to charge a song for their services—and to do so with a smile! This is something we at WhiteHat Copy certainly do not subscribe to. So what’s the difference between a Virtual Assistant and a VApreneur? Attitude. It all boils down to how you see yourself: are you an employee or a service provider? For instance, in this venture with my business partner, we offer communications services. Between us, we have nearly four decades of experience in communications covering several industries. We see ourselves as service providers and package our offerings as such. Does that mean you need to be an expert to be a VApreneur instead of a Virtual Assistant? Not at all. VApreneurs can offer services ranging from something as simple as encoding to something as technical as web development. Between these two extremes is an entire universe of needs that enterprising VApreneurs can fulfill, some of which are: telemarketing, secretarial services, writing, bookkeeping, headhunting, SEO management, and all-around digital ninja-izing. All these and more have a place in the continuously expanding global digital economy. If you’re ready to build a business you can run in your pajamas, the first step is to learn the essentials of VApreneurship. Join the VApreneur One Day to FREEdom Workshop on October 22. Details below. Early birds will pay only P888 until October 8! This entry was posted in Blog on September 25, 2016 by WhiteHat Copy. Want To Write Better? Read Up! You know how they say “you are what you eat”? Well, I say you write what you read. You’re probably thinking, “Great tip, Captain Obvious” but I doubt people actually digest what this means. Yes, corny pun intended. Think about it. For someone who writes professionally, I am acutely in tune with my strengths and weaknesses. Sure, I can write pretty much anything the client asks for but some take a little more time and effort than others. And my turnaround time lies greatly on how easily the words flow. This entry was posted in Blog and tagged business articles, editorials, feature articles, fiction, harry potter, j.k. rowling, lotr, opinion columns, professional writing, read to write, reading, reading a lot leads to better writing, sales letters, sales proposals, tolkien, writing, writing tip, you are what you eat, you write what you read on January 25, 2016 by WhiteHat Copy. Ignorant and antagonistic memes aside, Patricia Arquette’s Oscar’s speech is but a minor indicator of the inequalities that bar women from living the life they deserve. This is why it is so heartwarming to see how women around the globe are refusing to remain chained by the unfairness that clutch at them. It is doubly inspiring to see it happening at such a purposeful, focused, and comprehensive magnitude in the Philippines through the Gender-Responsive Economic Actions for the Transformation of Women, or simply, GREAT Women. This entry was posted in Blog and tagged great women project, international women's day, international women's month, philippine commission on women, women in tech on March 8, 2015 by WhiteHat Copy. We were thrilled to join the ‘One Million Lead Generation Cup’ when we first heard of it at last July’s SEO and Lead Generation Conference hosted by Janette Toral. We were already planning strategies, stories, and SEO tactics as we filled out the sign-up form. Our haul from the SEO and Online Lead Generation Conference where it all began. Although we were expecting to have an adventurous ride with our first foray into real estate, we did not expect it to be so challenging. 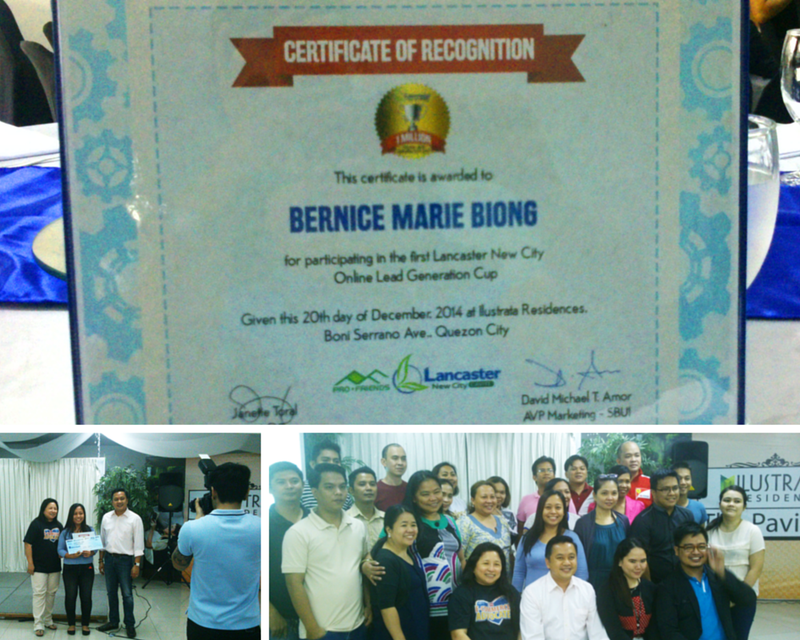 The goal of the competition was to provide leads for the sales team of PRO-FRIENDS, the developer of Lancaster New City, through online efforts like blogging, social media promotion, and the like. We learned early on, though, that not a lot of people are in the market for a new house. Since most of our initial plans (videos, Vines, photo series) fell through due to time constraints, we decided to focus on our own network. And sure enough some of our friends were looking to buy a house in this hidden gem just south of the metro. 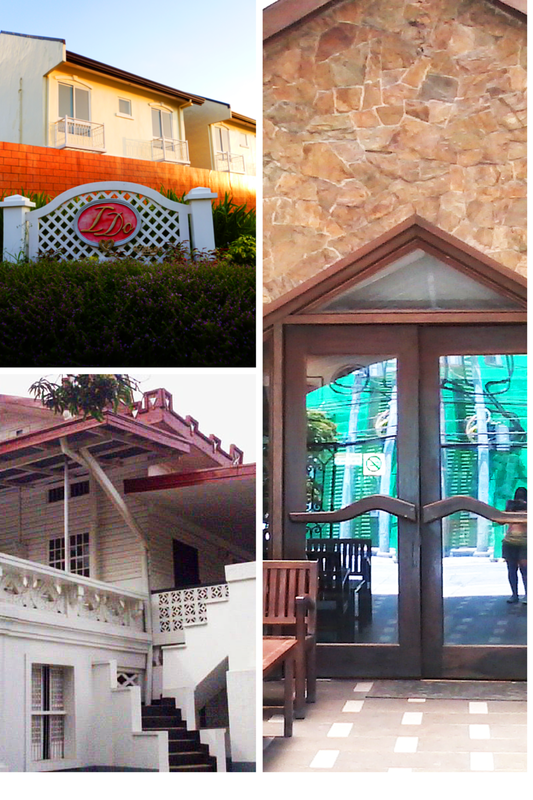 Treasures of Cavite (clockwise from right): I Do Village in Lancaster New City; Malen’s Restaurant in Noveleta; and the Emilio Aguinaldo Shrine in Kawit. The five-month competition has now come to a close. Awards have been given out, checks encashed and spent, and acquaintances have turned into friends. We may not have bagged the grand prize but we are glad to have been part of this interesting experiment. This entry was posted in Blog and tagged blogging, lancaster new city cavite, online lead generation, SEO on December 23, 2014 by WhiteHat Copy. The first ever Professional Blogging Summit was a success and it was a great pleasure to be part of it. 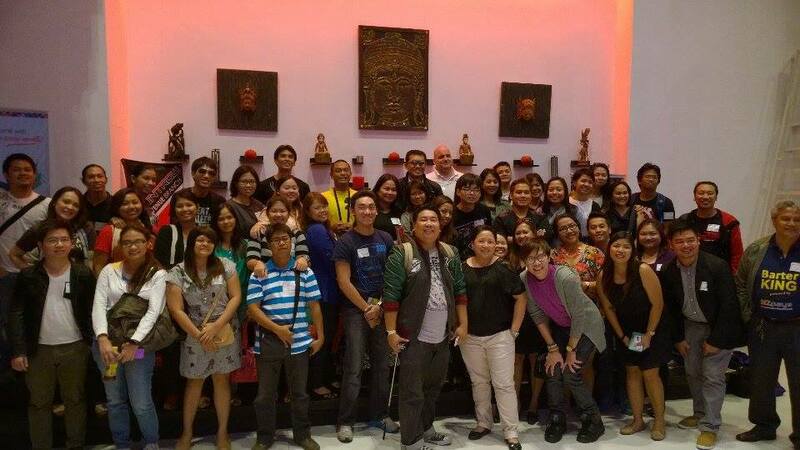 This entry was posted in Blog and tagged #dpop, blogger network, janette toral, professional blogging summit on October 25, 2014 by WhiteHat Copy. 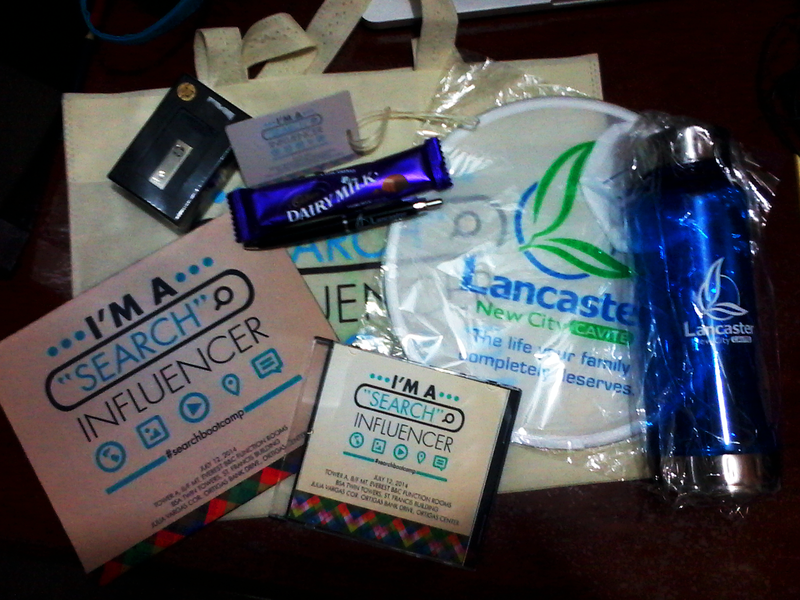 I had a grand time exploring the different booths and meeting fellow bloggers at Blogapalooza 2014. Special shout out to The Filipina Explorer! This entry was posted in Blog on October 17, 2014 by WhiteHat Copy.